Consolidate your old pensions and start building a better retirement. You can choose any plan before signing up, or you can simply pick the most popular plan - Tailored, which automatically moves your money into safer assets as you grow older. Your money will be managed and kept safe by one of the world's biggest money managers: BlackRock, State Street or Legal & General. The more information you can give us about them the better as this can really speed your transfer up. Don't worry if you don't have your policy number to hand – we don't necessarily need it and you can always add it later. Hi Priyal, thanks for sorting out my pension. I can see all my pensions have now transferred, fantastic! Hi I'm Priyal, part of the BeeKeeper team at PensionBee on hand to help our clients. Just call or email us any time! 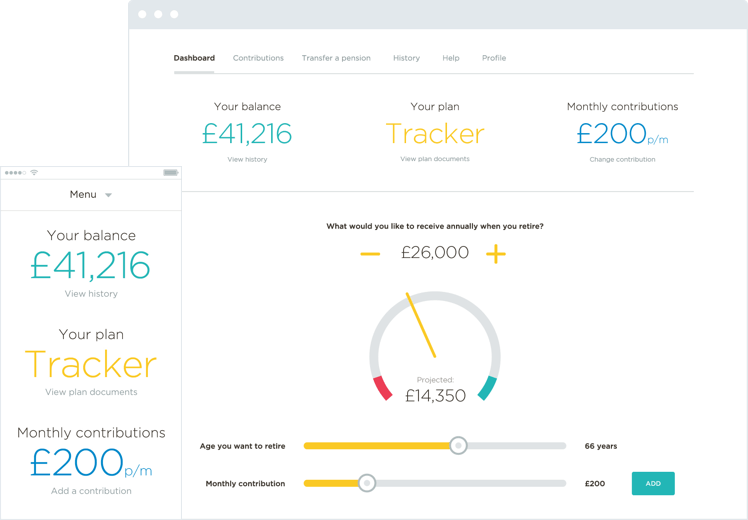 We'll now start transferring your old pensions into your chosen plan. You can switch plans at any time. Your dedicated BeeKeeper will be on hand throughout, and they'll tell you if they come across any exit fees over £10 or valuable benefits you should know about. As soon as your PensionBee plan is ready we'll let you know. You'll now be able to see your current balance, your projected retirement income, and set up regular or one-off contributions with a few clicks - through our website or our iPhone and Android app. You can cancel any transfers free of charge for up to 30 days. Plus there's no exit fee if you ever choose to leave PensionBee.